[Review] Delicious, fresh, and pretty desserts! Very delicious, fresh and looks so pretty! 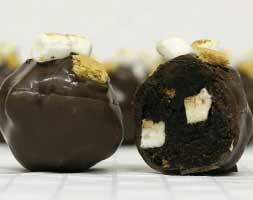 [Review] Amazing cupcakes, beautiful cakes, and the best cake balls! Best cake balls and amazing cupcakes. Love all the cake balls. And beautiful work on cakes too. Patty made 3 cakes for my daughter’s bday. Loved them and the flavors were delicious. 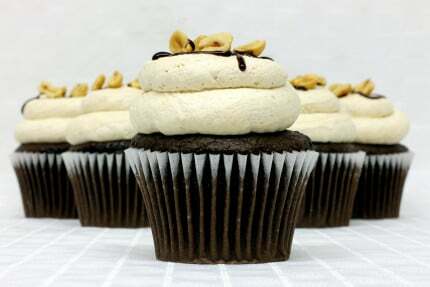 [Review] Best cupcakes in town! Hands down the best cupcakes in town!! 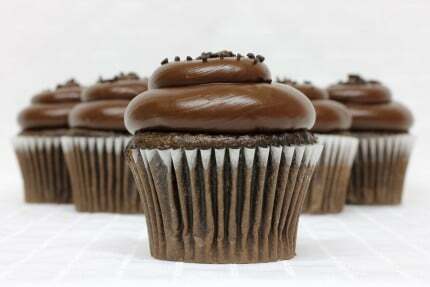 Very moist and fresh..the flavors that we have tried are all incredible..hard to pick a favorite. 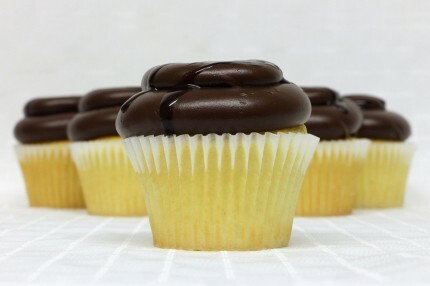 [Review] Try Patty’s for any cake or cupcake needs! I am very glad I happened across Patty’s while yelping for a cake vendor for my boyfriend’s birthday! 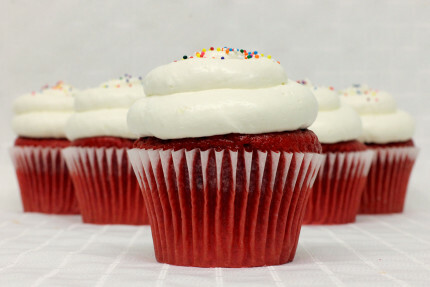 I had used their online ordering service that gives you the ability to choose from their regular cakes or cupcakes. They do not do over the top decorations online, however, but they do give you a free greeting decoration, which is exactly what I needed! So if you want customizable cake options for some special occasion, they have a whole consulting room for that! I saw that they had received plentiful people’s choice rewards for their wedding cakes as well, so keep that in mind for a cheaper option! Back to the actual cake, I purchased the red velvet cake that comes with cream cheese (I want to say it was) filling. WOW, this was a showstopper! I loved how moist and soft the cake was and every flavor balanced out one another, nothing was too sweet! That’s the most I could ask for in a cake. Also, I am not a huge red velvet person (my boyfriend is) but I ate my whole slice! Their service was actually very accommodating as well, I had run into some car issues and could not come at the right time to pick up the cake but it stayed great and fresh until I could! They call you to confirm your order, and that is really helpful to ensure they received it mostly when I ordered online. 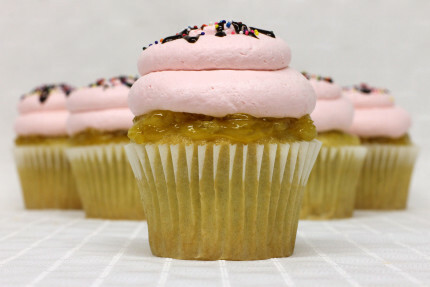 If you have any cake needs or want a delicious cupcake… I would not hesitate to try Patty’s. [Review] The best cupcakes I’ve ever had! Super cute new spot! I brought my kids for a little rainy day treat and the flavors and types of cupcakes looked so good. We ended up ordering a box of 6! 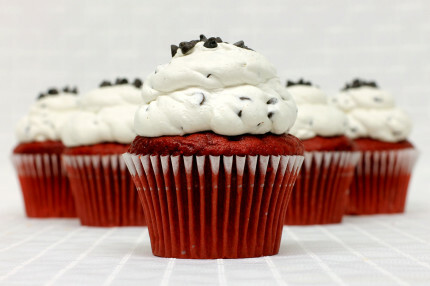 We had 2 red velvet with chocolate chip mousse frosting, 2 with a chocolate fudge frosting, and my favorite the Elvis!! 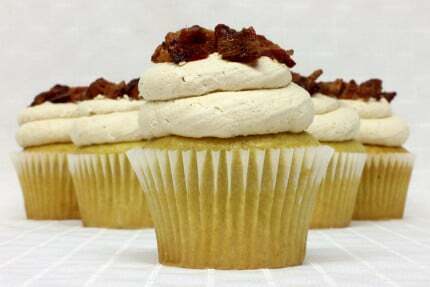 A banana cupcake with peanut butter mousse frosting topped with candied bacon! 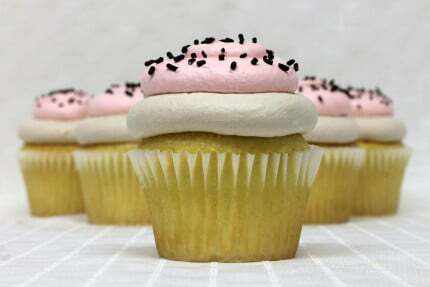 Their cupcakes were light and fluffy, the frosting is a semi sweet mousse which is really so perfect! Friendly staff, too. They also make custom cakes and delicious looking little cake pops. I didn’t see any use of that fake fondant crap on any of their goodies. The best cupcakes I’ve ever had to be perfectly honest! We love this place so so much!!! I recently got married and my friend recommended Patty’s Cakes, and I am so glad she did! We went for a tasting and from the first bite, we knew we had a problem on our hands, how the heck were we going to choose just three flavors??? We ended up with lemon cake with raspberry filling (YUM), chocolate cake with cream cheese filling (DELICIOUS! ), and for our top tier, my husband and I shared chocolate cake with peanut butter filling (I SERIOUSLY THINK OF THIS DAILY). We got so many compliments on how special, beautiful, and heavenly our wedding cake was. Their cakes are made with undeniable quality and care. THANK YOU PATTY’s CAKES!! You guys are truly talented and helped make our day amazing!! [Review] What a wonderful neighborhood treat! What a wonderful treat to have in my neighborhood. I was super excited to try Patty’s cupcakes and I was not let down. Their white cake with vanilla frosting is my family’s favorite. The staff is very friendly and helpful. I decided to order mini’s for a family birthday!!! [Review] They provided the perfect design and best flavor wedding cake! This review is long overdue. 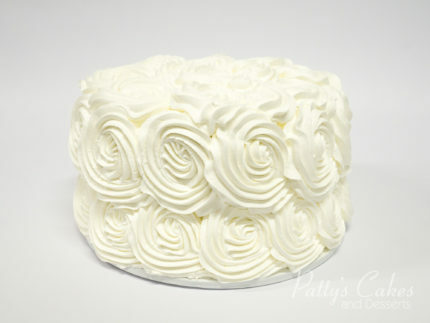 We were so lucky to find Patty’s Cakes to cater our wedding cake. Bethany helped us design our cupcake tier and our cake atop the tier. 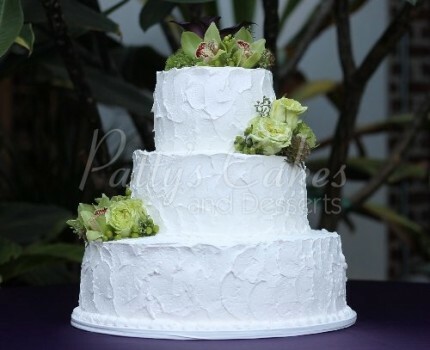 We wanted something simple yet elegant and they provided the perfect design, coupled with the BEST flavor of white cake with the vanilla mouse. Patty’s Cakes added a shimmer on the mouse to give it a nice fluorescent and it came out perfect! EVERYONE at the wedding LOVED their cupcake! Many of our friends asked for the business name for them to purchase cakes privately. 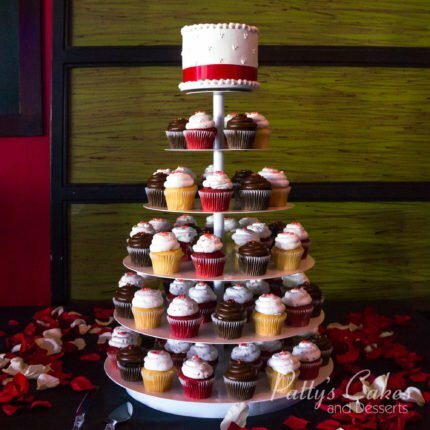 Patty’s Cakes and Desserts not only provides quality and beautiful cakes, they also provide professional service which we really appreciated while planning a wedding. Thank you, Patty’s Cakes and Desserts! First time here was very satisfying. Very clean look and great customer service. 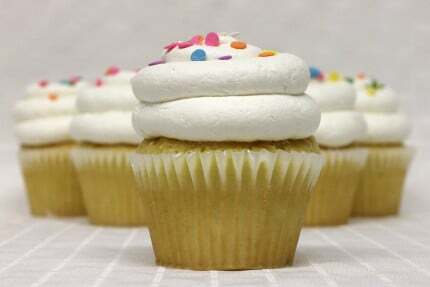 Cupcakes were also delicious, very moist, and rich and the frosting was perfect not too sweet but yet creamy. Will come back often. [Review] This was the best cupcake I had in my lifetime! WOW! is what I said when I took my first bite, this was the best cupcake I have ever had in my lifetime. Chocolate with Peanut Butter Mousse was the one I had would recommend it for sure. I highly recommended this place if you’re looking for great desert.